Journalist prior to working in PR and advertising. Joined EMI Records as Advertising Manager; responsible for all advertising and point of sale for all of EMI’s then 14 labels – pop, classical, jazz etc. Organised the UK launch of the Tamla Motown label and initiated the industry’s first market research. Joined CBS Records as the company’s first Marketing Manager. Set up and ran the marketing, sales and promotion departments and oversaw the launch of the entire CBS artist roster and catalogue in Britain. Helped to develop the successful careers of a number of young British artists including Fleetwood Mac, Georgie Fame, Tremeloes, Marmalade and many more. Appointed General Manager of Phillips Records. Created and launched the Vertigo label and from that point the company began to recover its former reputation. Signed Black Sabbath, Colosseum, Manfred Mann, Uriah Heep, Blue Mink, The New Seekers, 10CC and many others. Worked closely with David Bowie and Rod Stewart in setting up their early successes and with Dusty Springfield, Ray Charles and Scott Walker. Went on to RCA Records in London as Commercial Director, responsible for all creative and commercial activity. Signed The Kinks and The Sweet and worked closely with the New York office in re-establishing the European careers of Harry Nilsson and Perry Como. For 5 years was International Creative Director of The Essex Music Group and Managing Director of 4 of the Cube subsidiary companies. At this time Essex was the world’s largest privately owned music publishing company. Major artists signed to the record production company included Joe Cocker, The Move, Procul Harum, T-Rex & Marc Bolan, Joan Armatrading and classical guitarist John Williams. Devised, and produced with Bill Kenwright, the London stage show Déjà Revue, starring Sheila Hancock and George Cole. Also commissioned and co-produced with Bill Kenwright Howls, the first stage comedy by Raymond Allen, the scriptwriter of BBC’s Some Mother’s Do ‘Ave ‘Em series. In association with Tokyo promoter Hayashi International, organised Japanese presentations of a number of London musicals and ballets. 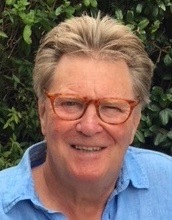 From 1976-1979 Managing Director and partner in Logo Records and LogoSongs. In 1977 bought Transatlantic Records from Granada Group and merged the two businesses. Developed the successful early recording careers of Annie Lennox and Dave Stewart, then fronting a band called The Tourists and Paul Young, then the lead singer of The Street Band. On leaving Molinaire in 1984, returned to the company fulltime and concentrated on building and developing the present business. Mike Moran was our first composer client, closely followed by John Altman, and happily they are both still with us all these years later.